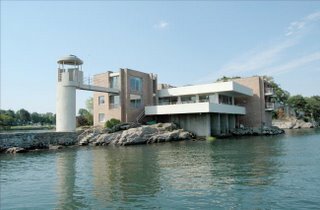 A scenic causeway leads to one of the most extraordinary waterfront properties on Long Island Sound with 1000 feet of shoreline and astounding views! It's a premiere location with a truly unique home -- a masterwork by the renowned mid-century architect, Ulrich Franzen. Among the recent updates is a new observation tower, augmenting this "modern sculpture" set against a breathtaking backdrop! Walls of windows, balconies, and decks evoke the feeling of being on a luxury yacht! 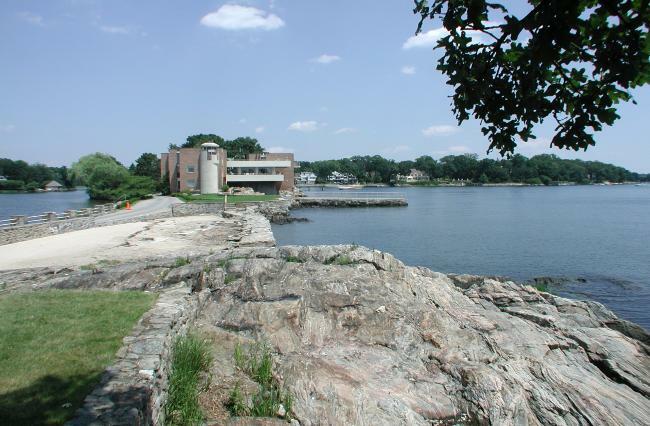 A private dock, beach, park, and waterside pool are added amenities. 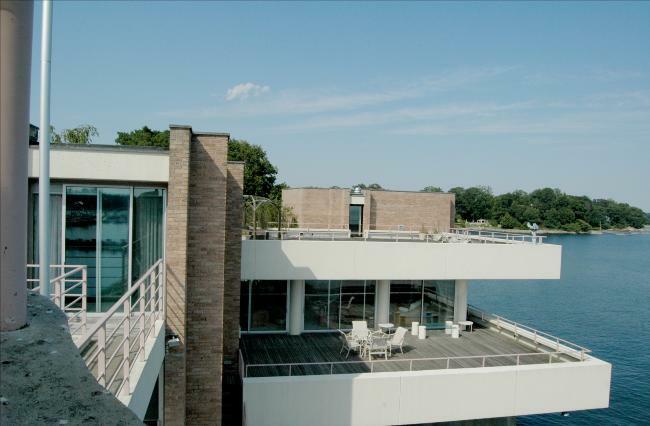 This showcase property, with its sumptuous lifestyle and rapturous views, is just 35 minutes from NYC! 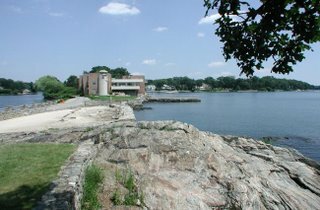 It offers a rare opportunity without the Hamptons traffic to make your waterfront dreams come true!